This is what happens when there are no employee representatives on company pay committees which decide what executives are paid. If Labour win they will ensure that worker representatives are elected to every large company pay committee. This should help keep greedy snouts out of the trough. 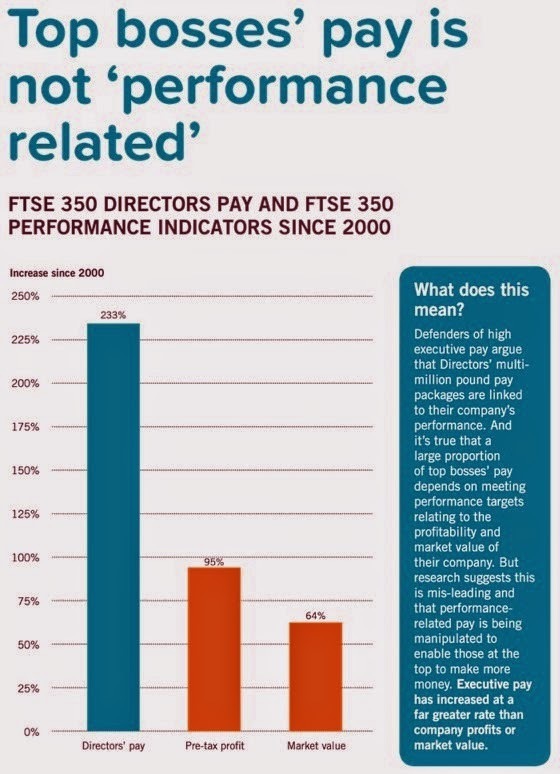 Britain's top executives are supposed to be paid according to how their companies perform - but pay in recent years has increased far more quickly than performance. Check out data at Inequality Briefing"